Hope you're having a nice time. I'm officially on a roll now! 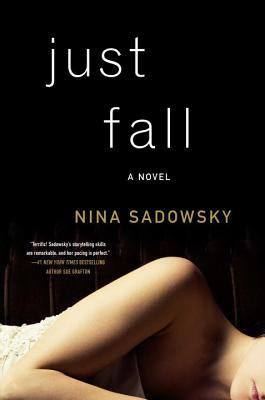 So let's welcome our next author, Nina Sadowsky, whose debut romantic suspense book, Just Fall has already been loved by so many readers. So let's chat with this talented new writer to know about her life, about her book and her life beyond books. Stay reading and keep scrolling! Me: Hello and welcome to my blog, Nina. Congratulations on your new book, Just Fall. How will you express your feelings about this book that has already won the hearts of so many readers? Nina: I have been completely thrilled by readers' responses to the book. When I decided to write a novel, my sole goal was to finish it. I had no expectation that it would even get published much less receive the very enthusiastic responses it has engendered. I pinch myself every day to remind myself this is real and I am very grateful for the positive reception. 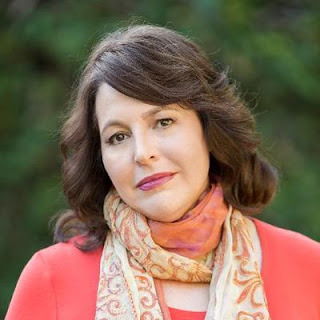 Nina: I did a fair amount of research, looking into areas that the book touches on such as human trafficking and police procedure on the island of St. Lucia, (where a large portion of the book is set). But my primary impetus was personal. I began the book shortly after my second marriage, a mid-life union that also brought together four teenagers in a blended family. The process of uniting us all turned out to be more of a challenge than either my husband or I anticipated. Our struggles led me to ask questions. How well do we know the people we love? Will our moral lines shift in the name of love? Can love withstand the revelation of our "ugly" sides? Are we attracted to a partner's darkness as well as his or her light? I realized these questions were universal. Intimacy and vulnerability are challenging and scary regardless of the circumstances, and I decided to explore these issue through the heightened lens of a thriller. Me: Did you travel extensively to the Caribbean's as you have captured it vividly? Nina: I have been to the Caribbean a few times, including the island of St. Lucia, but have not gone back for many years. I relied on memory, personal photographs I took when there as well as research to help bring the island to life. Could be time for another trip! Me: Tell us one trait about your main character, Ellie and Rob, that intrigues you the most. Nina: That's an interesting question. For Ellie, I would say I am fascinated by her fundamental belief that she is somehow unworthy of love (a feeling I believe a lot of people, particularly women, possess). For Rob, I would say his strongly held conviction that love can redeem a life of violent crime. Nina: In one word: miraculous. I have done many things in my life. I have been an entertainment lawyer, a producer, an film executive and a screenwriter. I even have directed a little. I started JUST FALL because I felt my love of the creative process ebb and I wanted to reinvigorate that love. Not only did I succeed in rekindling my love of writing, I have also enjoyed great support from my editor and publisher as well a lovely reception from the reading public. All of this seems miraculous, particularly since I began the process with no expectations whatsoever. Nina: Writing a book was always on my wish list of things to accomplish in my life. My dream has always been to be a storyteller and up until JUST FALL I fulfilled that ambition with movies and television. Now I wish i had started writing books sooner! Nina: I am very devoted to my blended family. I am also a good and adventurous cook, an avid reader and collage artist. Most of my art work is very personal, collages created from items collected during trips or events that have specific memory and meaning attached to them. I also teach at the University of California's Cinematic Arts Program, and love my students. Nina: I am writing a new book for Ballantine entitled, THE BURIAL SOCIETY. It is also a thriller, although set primarily in Paris, France as opposed to the Caribbean, and featuring all new characters. The story is about a woman who runs a kind of private witness protection program, extracting people in trouble from dangerous situations and installing them in new lives. She's a bit of a vigilante, but on the side of good. In the book, she is in in the middle of her biggest and most dangerous "relocation" when her past rises up to interfere in the form of a family who she failed several years prior. This reconnection knocks her off her game and thrills and chills ensue. I'm having a great time writing and hope the book will also be received well. Me: Thanks Nina for joining me today on this interview session. I wish you luck for all your future endeavors. Nina: Thanks Aditi for asking me to contribute to your blog!